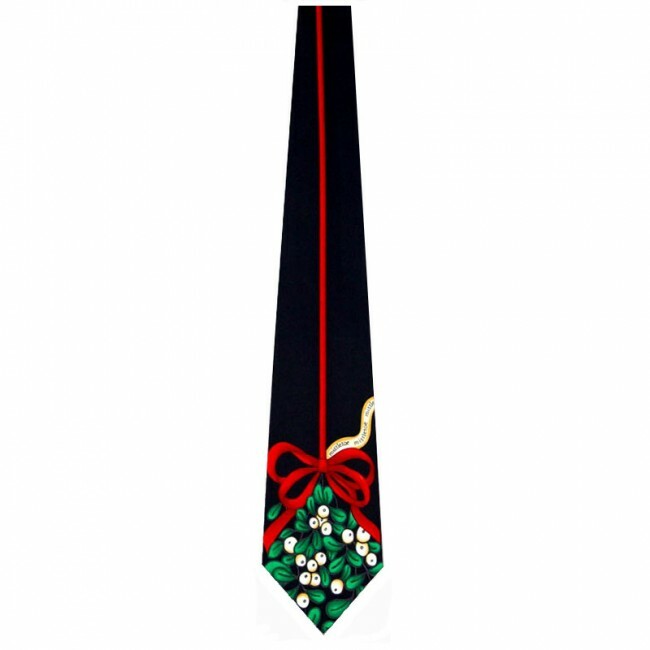 Keep up holiday traditions with the Mistletoe Tie by Ralph Marlin! This holiday necktie features a simple mistletoe hanging by red ribbon. All of this is contrasted on a black background. This original tie design is produced by Ralph Marlin - the original creator of the novelty tie and is crafted in 100% microfiber to provide years of quality service. Keep up holiday traditions with the Mistletoe Tie by Ralph Marlin! 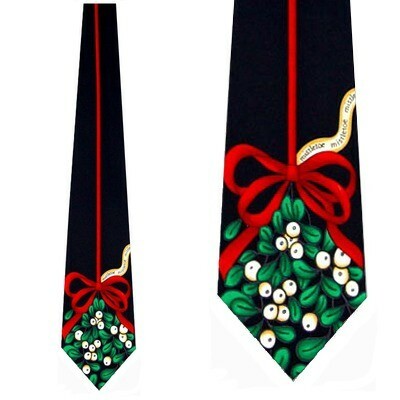 This holiday necktie features a simple mistletoe hanging by red ribbon. All of this is contrasted on a black background. This original tie design is produced by Ralph Marlin - the original creator of the novelty tie and is crafted in 100% microfiber to provide years of quality service.